Justin Capra, a Romanian inventor who claimed to have invented the first functional jetpack, died on Monday at the age of 81. Capra used to say that he built his jetpack in 1956, well before Bell Aerosystems' 1961 untethered flights with their rocket belt. The only problem? He was never able to produce any credible evidence that he was the first. There's absolutely no question that Capra built two jetpacks. But they were almost certainly designed and constructed in the mid to late 1960s. In one 2008 interview, Capra nearly admits as much. Long story short: nobody outside of Romania believed he invented the jetpack. Steve Lehto's 2013 book The Great American Jet Pack: The Quest for the Ultimate Individual Lift Device pokes numerous holes in Capra's claims. The book gives a comprehensive breakdown that concludes Capra's jetpack device was probably first tried in 1967 — well after Wendell Moore conducted successful tests in 1961. 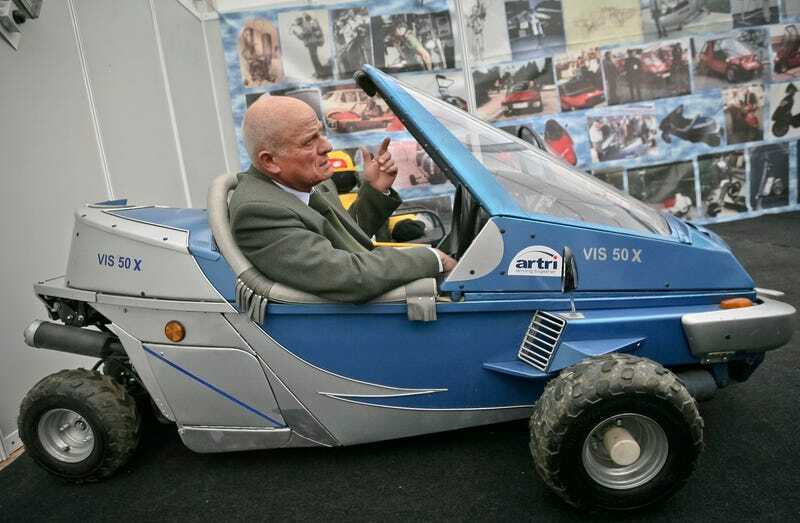 No one doubts that Capra was a talented man with fascinating ideas for many bizarre transportation machines. But he didn't invent the first jetpack.